Get Mooving is an initiative developed by the City of Greater Shepparton. The campaign aims to promote healthy living, physical activity, nutrition and mental wellbeing. 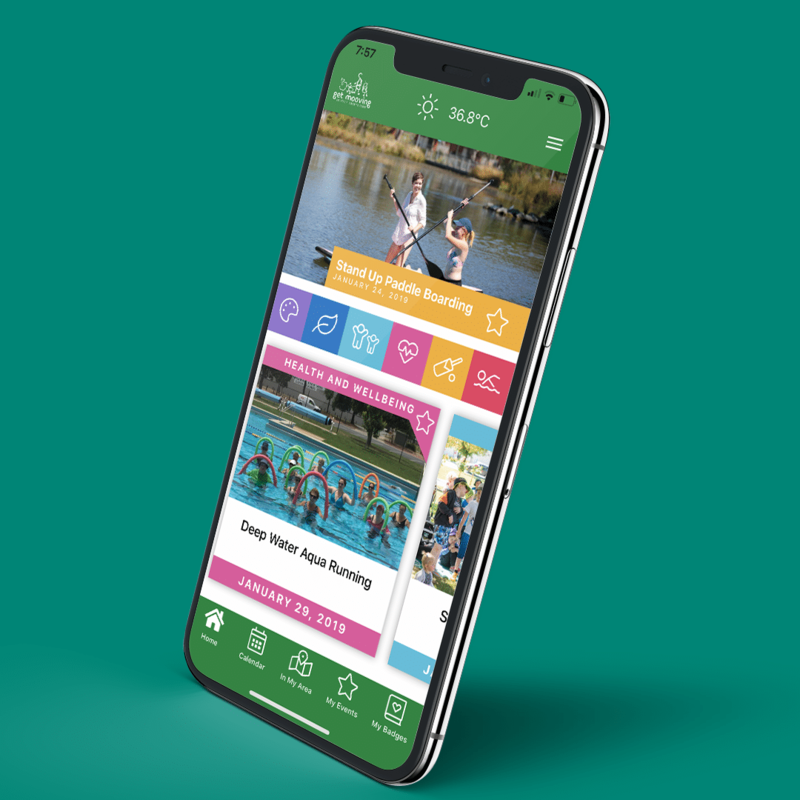 Switched designed and developed the Get Mooving application to allow members of the Greater Shepparton community to search for and participate in a range of fun-filled activities within the Greater Shepparton region. Events can be searched via location or by month. 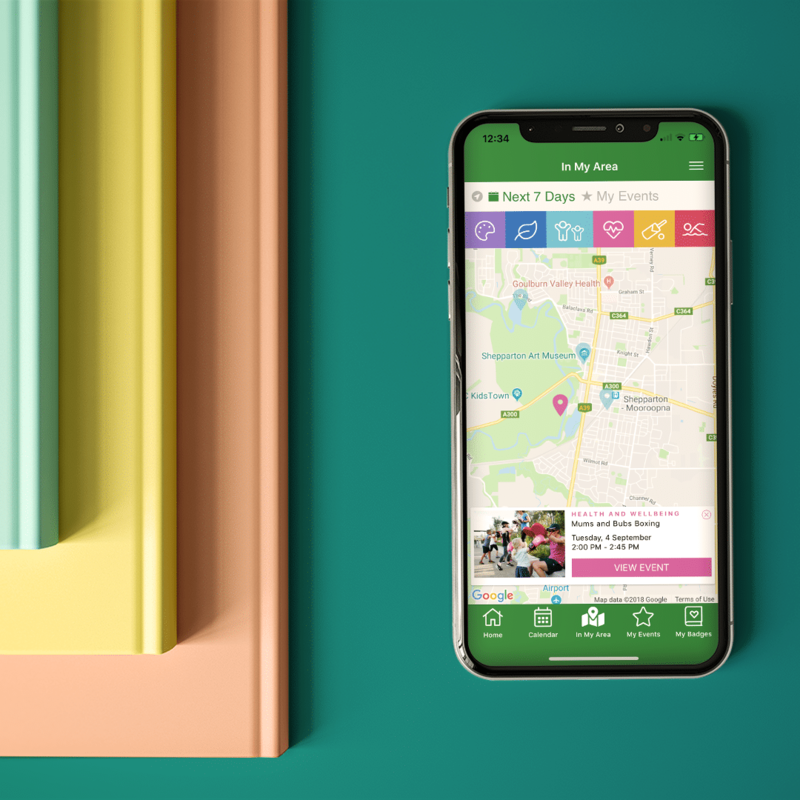 Activities can be added to the favourites section of the app and to the calendar. Users can set reminders, contact the organisers and share events on social media. 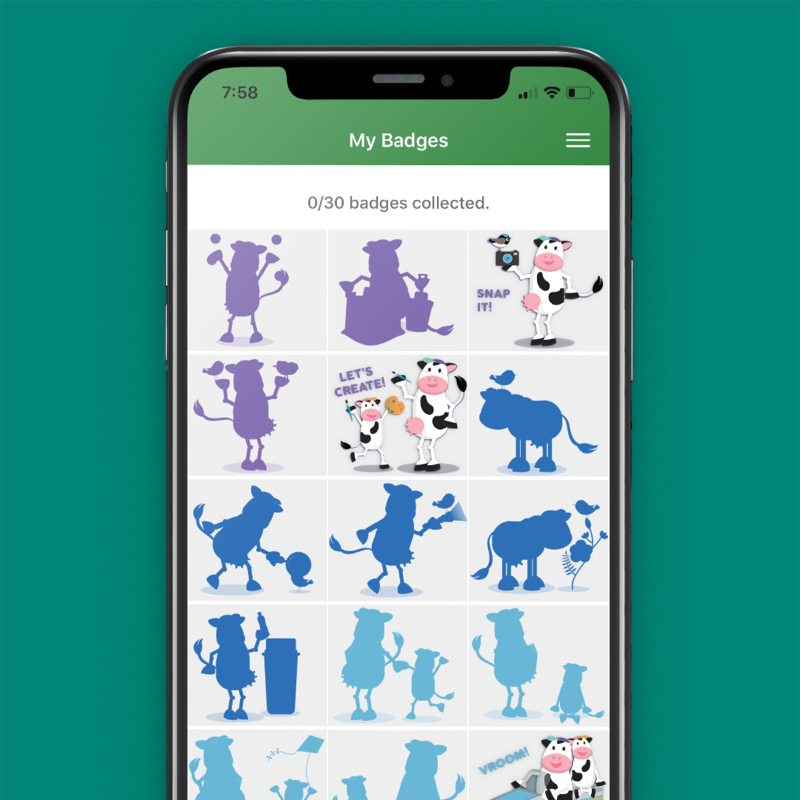 Switched also created a fun location based badge collecting game to encourage the participation of children and families.